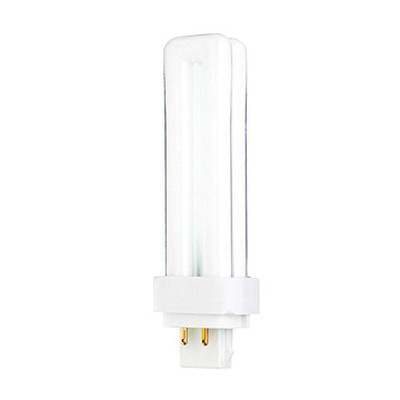 Satco HyGrade™ 4-Pin 18-Watt G24Q-2 T4 Compact fluorescent lamp offers 1250 initial Lumens of bright light output. It has color rendering index of 82 and 2700K color temperature that radiates warm white light to the surrounding. Dimmable lamp with electronic ballast, has voltage rating of 120-Volts. It has a dimension 2-Inch Dia x 5.8-Inch. The quad tube shaped lamp has an average life of 15000 hours. Lamp is UL/ETL listed, RoHS compliant and meets TCLP standards.